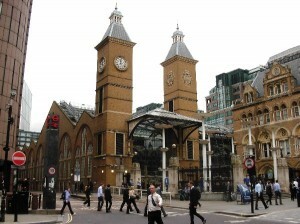 Liverpool Street Station, like many other similar and nearby stations, has suffered renovations that turned it into a beautiful and popular British attraction. The fact that it is located between two of the most populated districts in London helped it reach an impressive number of daily passengers (inhabitants, travellers, business men) that use its railway services. The most used destinations are situated in Essex. Whether you need a Heathrow to Liverpool Street Station Transfer because you have a business meeting or you simply desire to visit London, make sure to read our pieces of advice and choose those activities and means of transport that are most suitable for you. When it comes to hotels or meeting venues, Liverpool Street Station welcomes you with places that match every taste and budget. For a nice stay, try South Place Hotel (3 South Place) or Andaz Liverpool Street Hotel (40 Liverpool Street) and for a successful business conference, you might want to use Andaz Liverpool Street (40 Liverpool Street), Gibson Hall (13 Bishopsgate) or 30 St Mary Axe – Top Floor Restaurant at The Gherkin (30 St Mary Axe). These are all situated at a walking distance from Liverpool Street Station. In case you want to enjoy a great show, try one of the following entertainment venues: Bishopsgate Institute, ClueQuest and The Old Blue Last. Among the many interesting sights and local attractions, we recommend: Raven Row (56 Artillery Lane), Heron Tower (110 Bishopsgate) and Tower 42 – formerly NatWest Tower (Regus – 25 Old Broad Street). Of course Liverpool Street Station is full of amazing restaurants, shops, markets, bars, boutiques, sights, exhibitions, museums and many other wonderful surprises. You just have to take the time to discover them and truly enjoy your London city break. In order to get a Heathrow to Liverpool Street Station by rail, you have the train from Heathrow Airport (every 15 minutes) via Paddington (H&C) (every 5 minutes) and then simply walk for 1 minute. This whole journey takes about 40 minutes. Another option would be to take the Tube from Heathrow Airport Term 1-3 (every 10 minutes) via Holborn Underground Station (every 5 minutes) and then enjoy a short walk of 1 minute. This journey will take about 59 minutes. Your third option is to take the bus from Heathrow Central Bus Station (every 60 minutes) via Soho, Aldwych (every 10 minutes – line 11) and then a 1 minute walk. This journey takes about 1 hour and 25 minutes. A Heathrow to Liverpool Street Station Transfer by car can be done by taking the M4 motorway and then the A4 one. Heathrow Airport is at a 19.8 miles distance from Liverpool Street Station. This journey will take about 45 minutes, without including traffic. A Heathrow to Liverpool Street Station Taxi with 247 Airport Transfer is going to take about 1 hour and 7 minutes, including rush hour traffic. The price for a Heathrow to Liverpool Street Station Taxi starts from 47 GBP..